Few people give much thought to cleaning their car’s windshield. You just push the button at the end of your windshield wiper lever to spray washer fluid over the glass and let the blades do the work. If you’re feeling particularly motivated, you might even get out of the car to wipe it down by hand. Though you’ll never win a Nobel Prize for cleaning your windshield, it is still an important task. 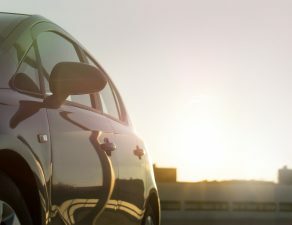 Keeping this glass clean is essential for clear visibility whether you’re dealing with the glare of the sun or other cars’ headlights at night. 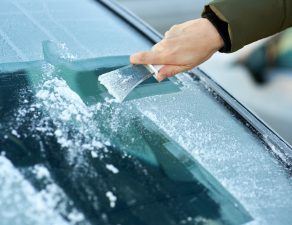 These creative hacks for cleaning your windshield are not only convenient and practical, but they make great conversation starters. 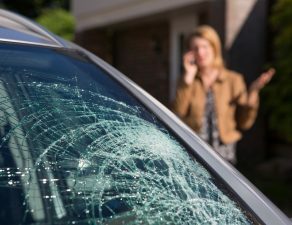 Bugs, bird droppings, and tree sap can all be really difficult to remove from your windshield. Rather than wear out your wiper blades from trying to go over those stubborn spots endlessly, use a can of Coca-Cola. This versatile soda can be poured right onto the windshield, or into a rag or sponge first, and then rinsed off with your wiper blades and washer fluid. Just make sure you wash all the cola off the glass or it will be sticky and leave a film that impairs visibility. Also, remember to put a towel at the bottom of the glass to protect your car’s paint from becoming damaged by the acidity in the soda. 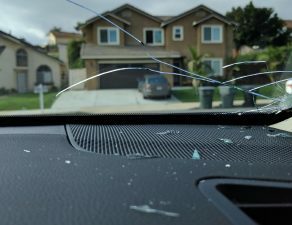 For tough spots like sap that have been on your windshield for some time, soak a cloth or paper towel with the Coke, place it on the windshield where the spots are the worst, and let it sit for a while. Use a repellant product likeRain-Xto help keep your windshield clean. Most repellant products are designed to allow water to bead up and run off the surface more easily. 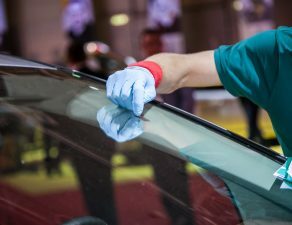 They also generally help keep bugs and sap from sticking, too, so your auto glass will stay cleaner for a longer period of time. 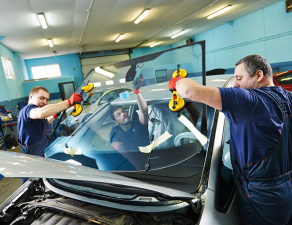 By using the product at proper intervals and having good wiper blades, you can reduce how often you need to clean your windshield. About 90 percent of the decisions you make on the road are vision-based. If you’re an assiduous driver, this probably means that you’re washing your windshield frequently. Whether you just use your car’s washer fluid or you manually clean the glass with Windex, this can add up over time. 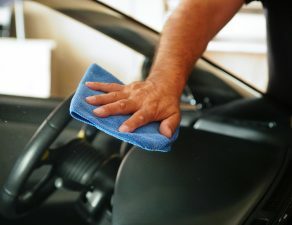 To save on money as well as be environmentally conscientious, consider making your own windshield cleanser. In an empty one-gallon plastic jug, mix a pint of rubbing alcohol and a tablespoon of dish soap together. Alternatively, you can make it with one part white vinegar, two parts water, and a squeeze of dish detergent (too much may leave a film on the glass). If you live in a cold climate, use 99% isopropyl alcohol to prevent the liquid from freezing. You can fill your windshield washer fluid reservoir with this mixture or use it as you would spray-on glass cleaner. 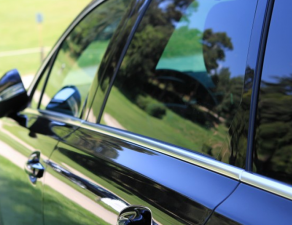 Although there are many aspects to driving safely, having clean, clear windows is definitely one of them. 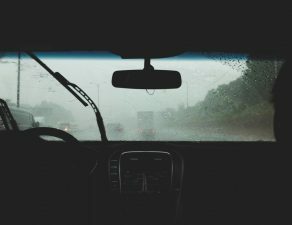 For the full package, you can always treat yourself to a car wash, but in the meantime, use any or all of these creative hacks to keep your windshield clean on the go.